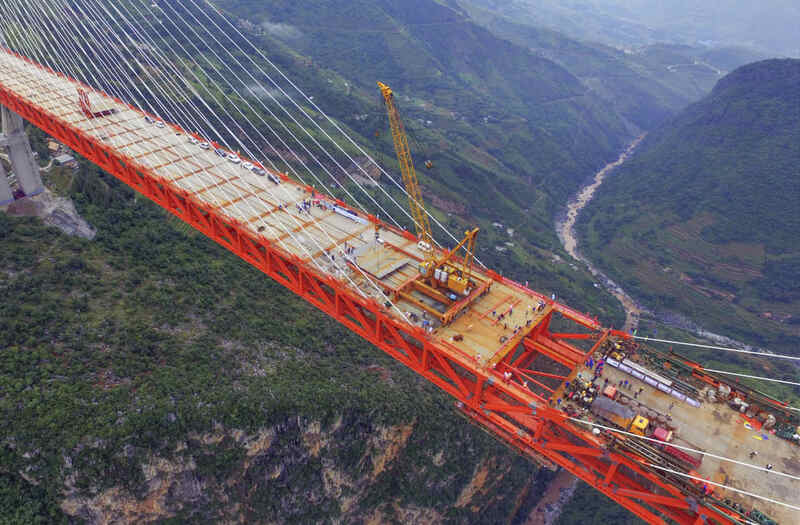 The world's highest bridge is set to open this year in China. And even from just looking at the photos, you can tell it's quite the spooky experience. Let's just say that people who are afraid of heights should stay very far away. 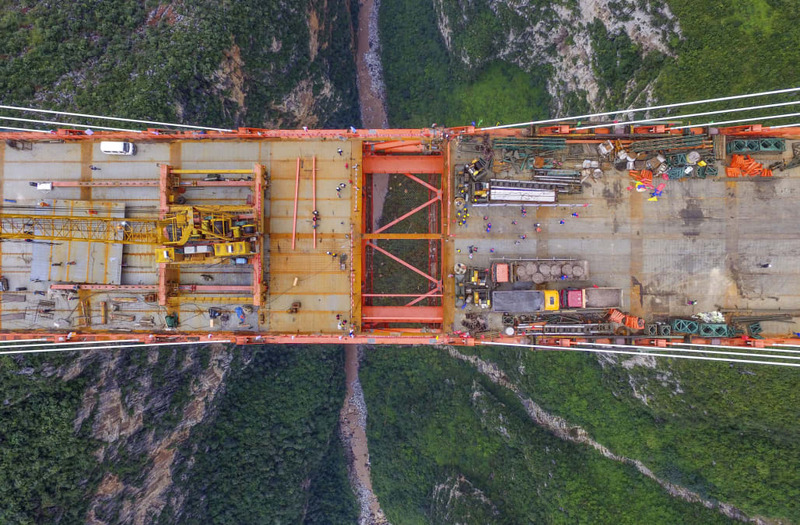 The Beipanjiang Bridge suspends nearly 2,000 feet above the Beipan river, and extends 2,300 feet between China's mountains. 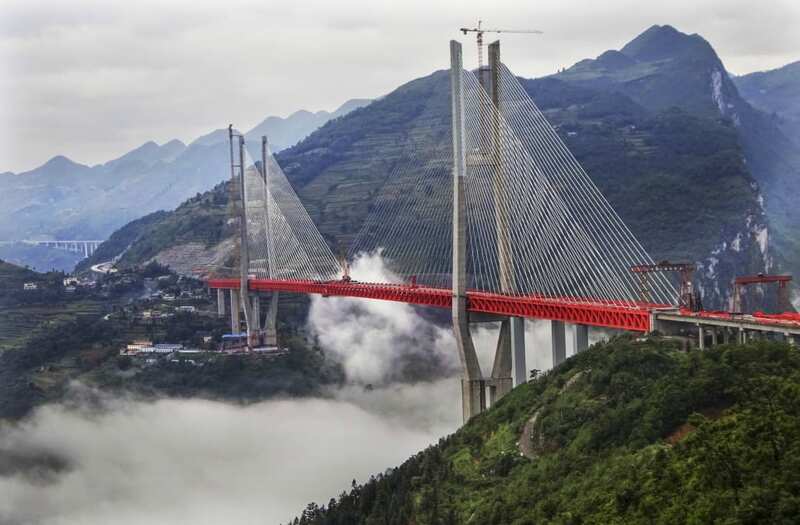 When the construction is completed, the extension will cut the travel time between Yunnan and Guizhou, two provinces, in half. Previously, China's Si Du River Bridge had taken the title. But that bridge is actually quite low in comparison, hanging 1,600 feet above the river. But for bridge towers, Beipanjiang Bridge is only the 10th tallest. The structure is truly incredible.